TekSynap was awarded three additional contracts with the Defense Threat Reduction Agency (DTRA) to provide Audio Visual and Video Teleconference (AV/VTC) Special Projects for refresh design and implementation support and/or enhancements to existing capabilities. 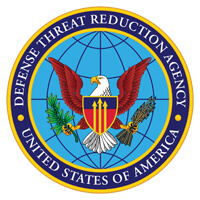 TekSynap is pleased to continue supporting DTRA’s mission of safeguarding America and its allies from Weapons of Mass Destruction (chemical, biological, radiological, nuclear, and high explosives) by providing capabilities to reduce, eliminate, and counter the threat, and mitigate its effects. TekSynap’s solutions allow for global real-time secure communication between the war fighters that protect us.